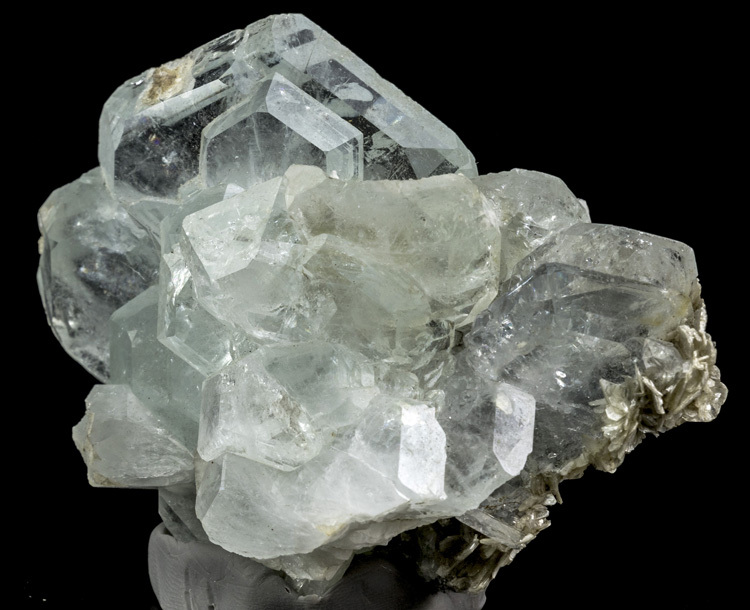 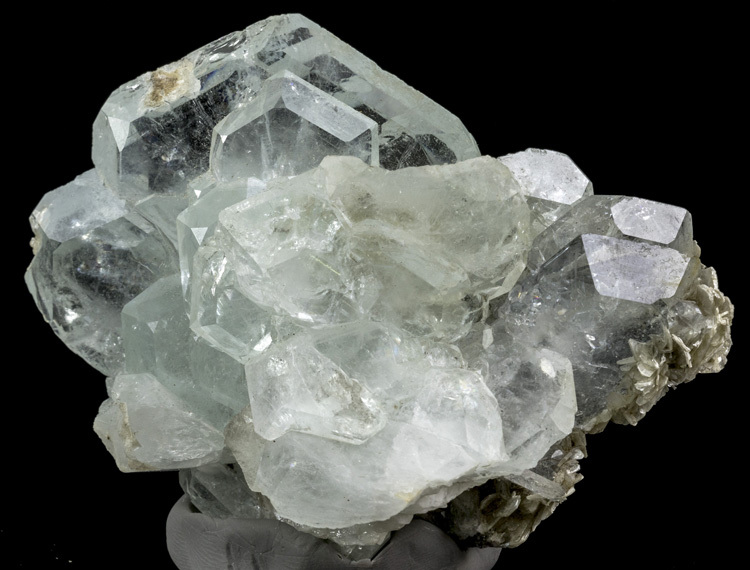 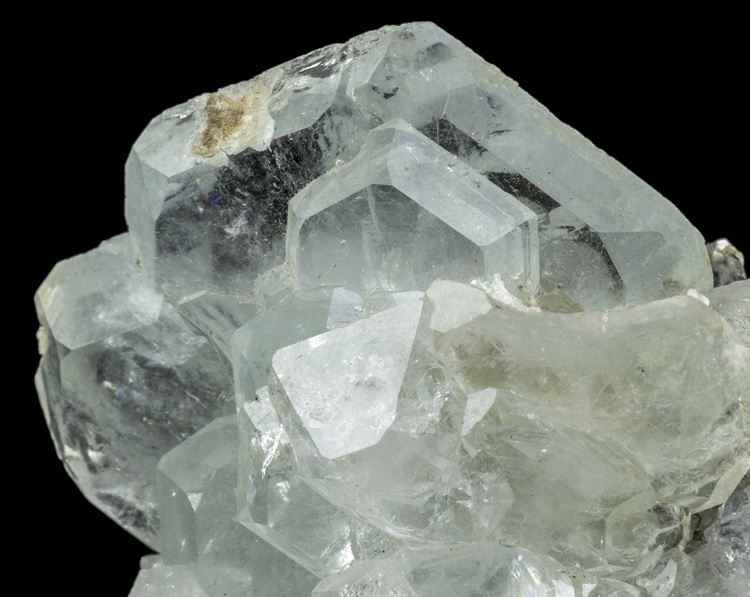 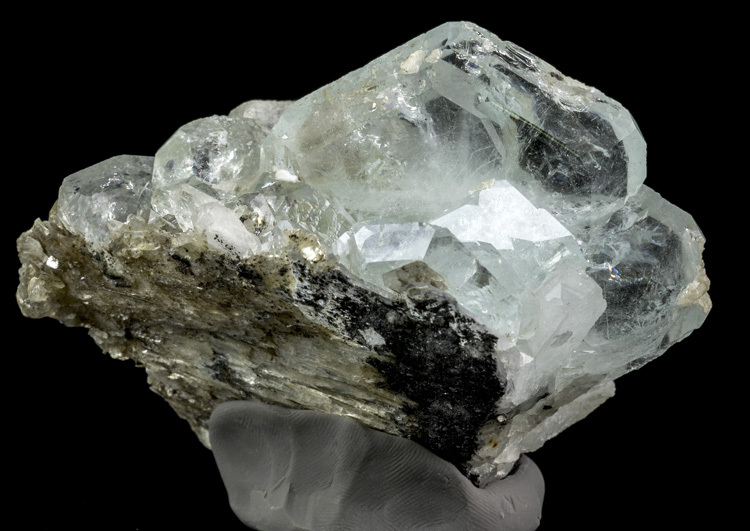 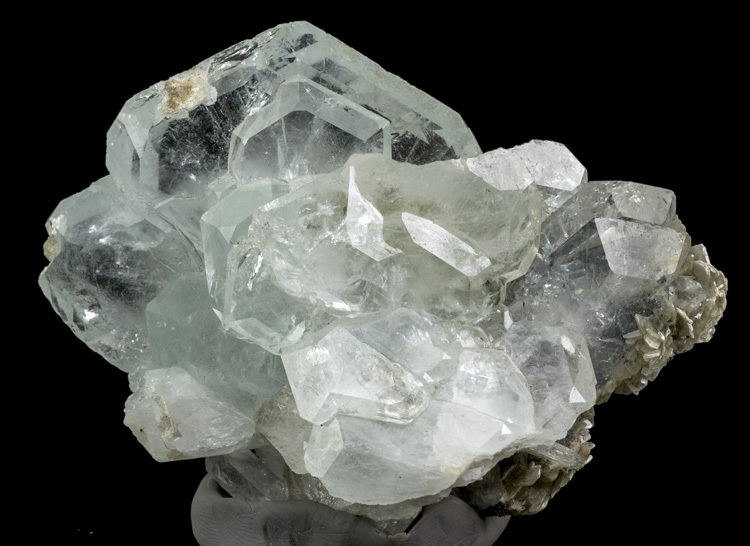 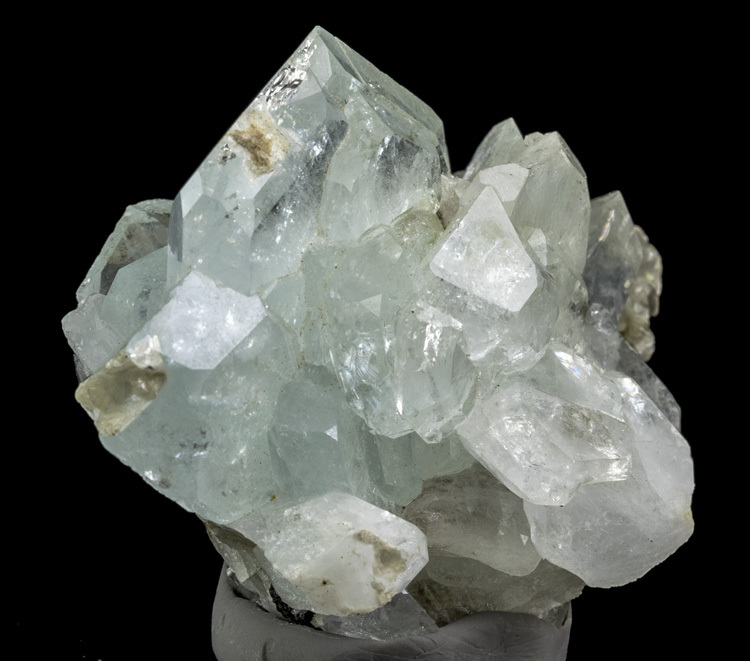 Here is a dense cluster of pale blue-green tabular aquamarine crystals with Muscovite. 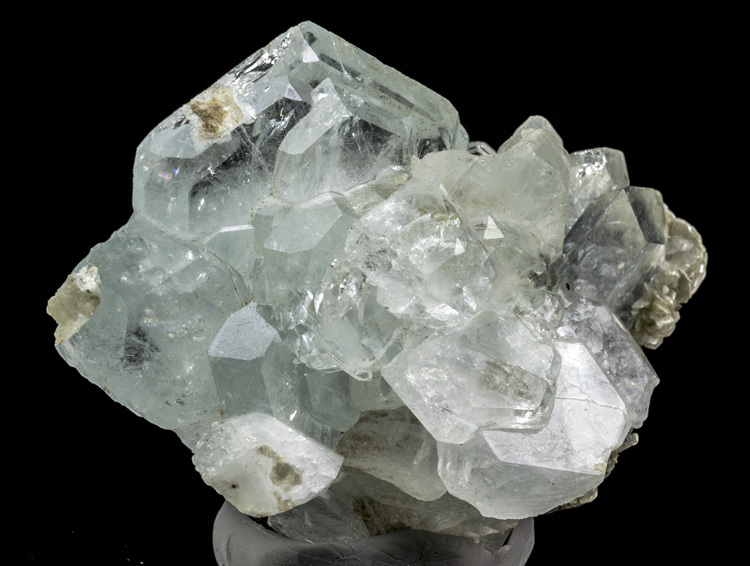 A very impressive tabular aqua since most of the time you see these it's just a single crystal. 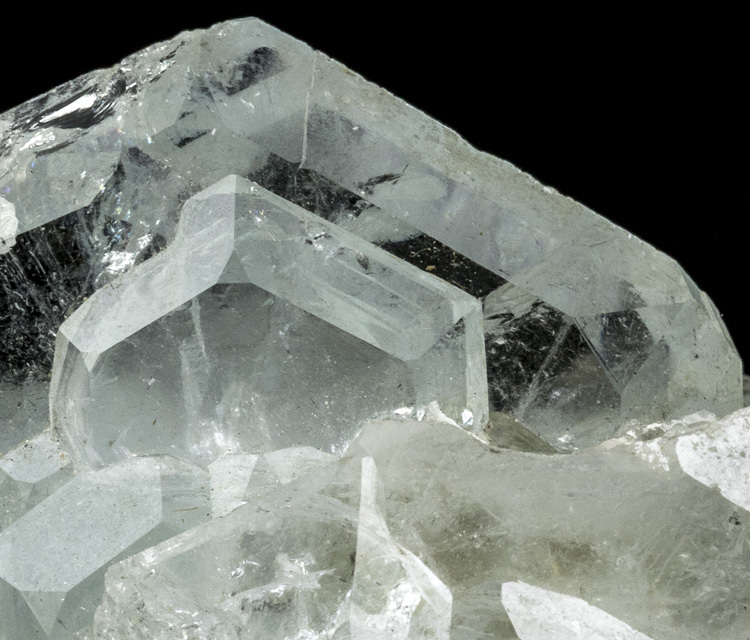 Transparency is excellent, and there are around two dozen crystals in all. 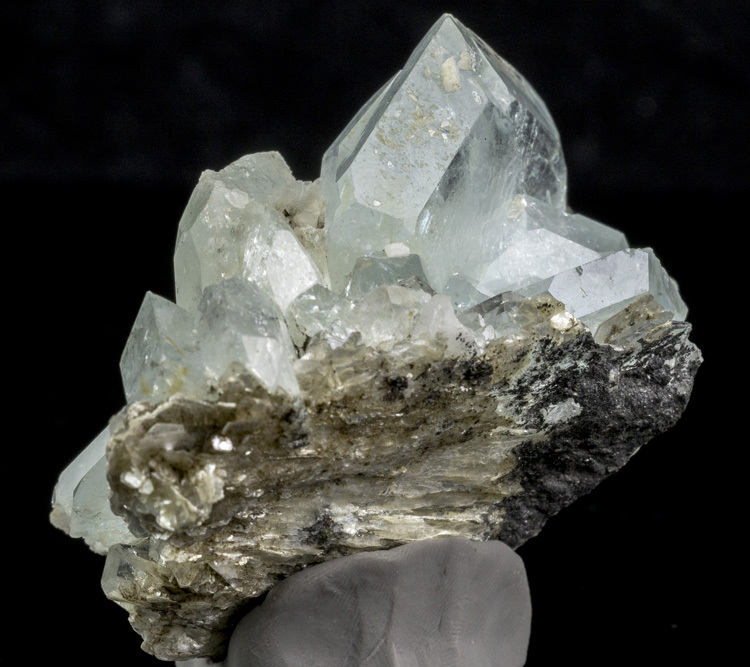 Some edge chipping on some crystals. 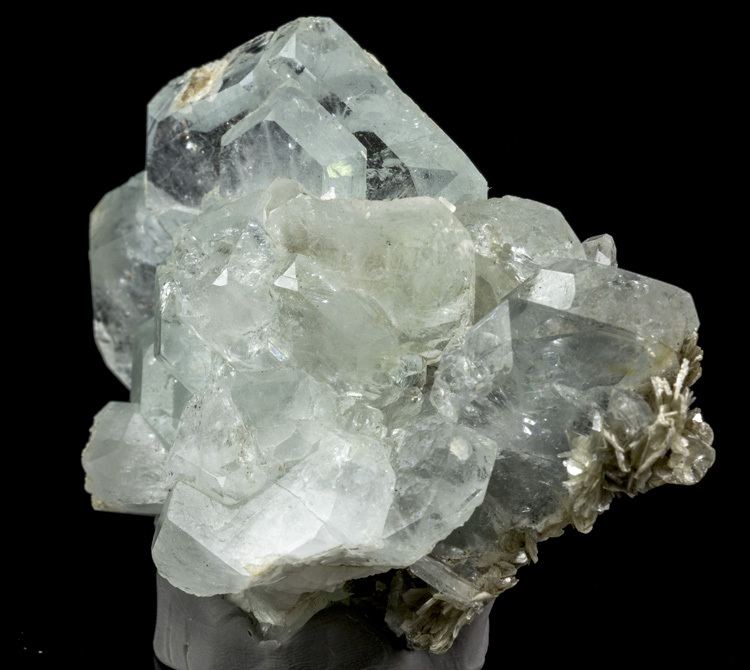 This specimen is from the ex. 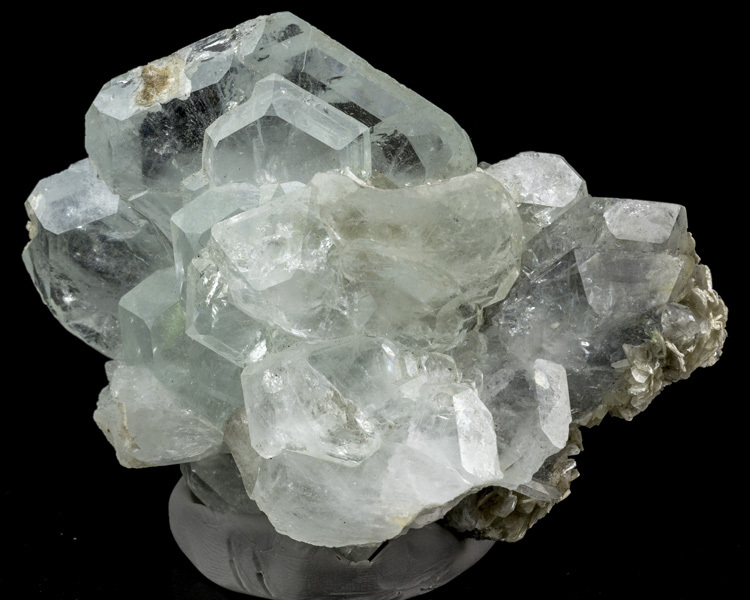 Claus Hedegard Collection.